There’s no flower I love to see in bloom more than ranunculus. The delicate petals seem to go on forever into it’s center, and the way their stems go all wild after a day or two in a glass of water is just amazing to me. These delicate little flowers have so much personality. When combined with gorgeous peach garden roses, white hydrangea, and pitt leaves, pink ranuncs look like Springtime. 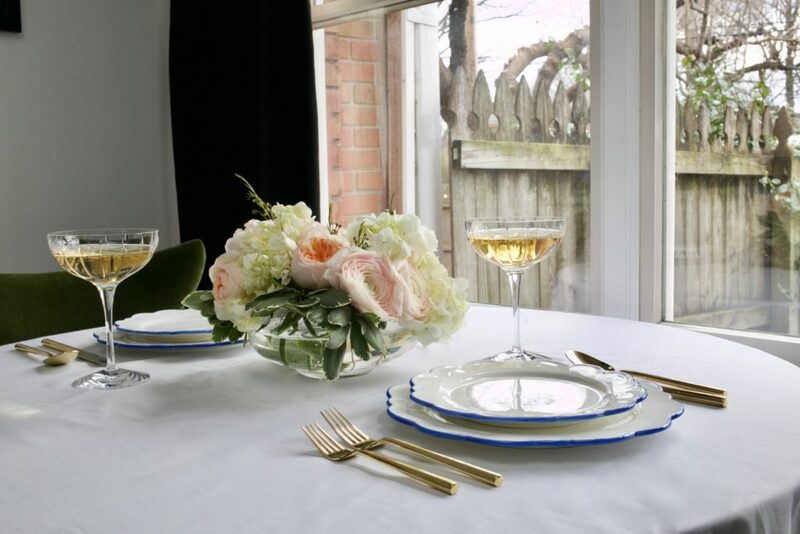 When sitting on a clean tabletop, next to blue and white dishes, and a glass or two of weekend morning bubbly, it makes for an amazing Easter Sunday centerpiece. 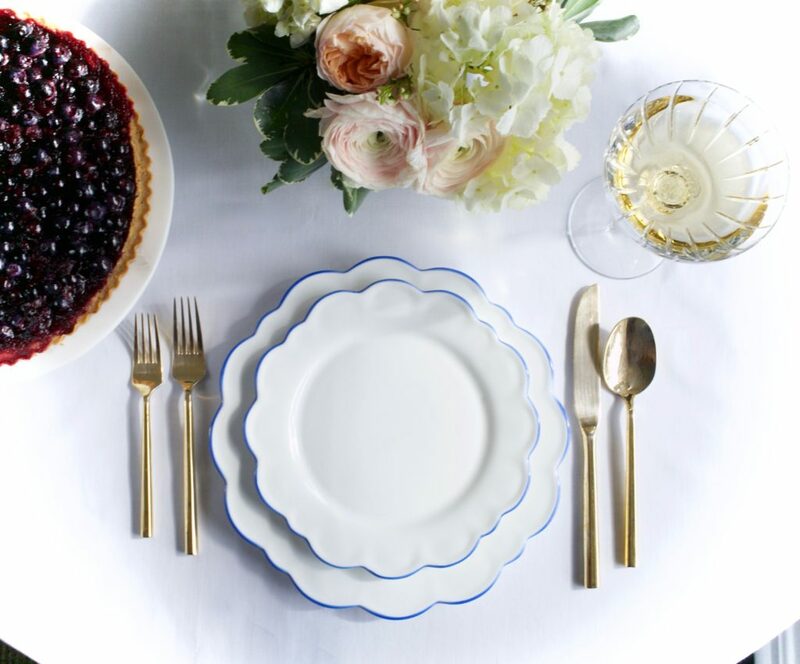 It’s no secret that I love a good tablescape, and sometimes simpler is better. 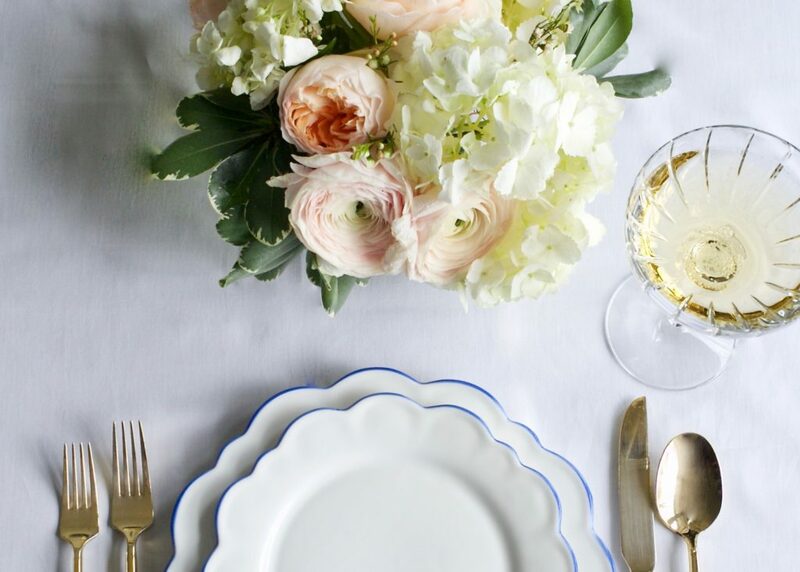 For Easter weekend, I love a crisp white linen (like this one- my favorite from Crate and Barrel) and simple, feminine dishes. I’ve planned on a huge blueberry tart- also simple, and perfect for sharing with friends and neighbors- and have visions of a sweet tea-brined ham in my mind. 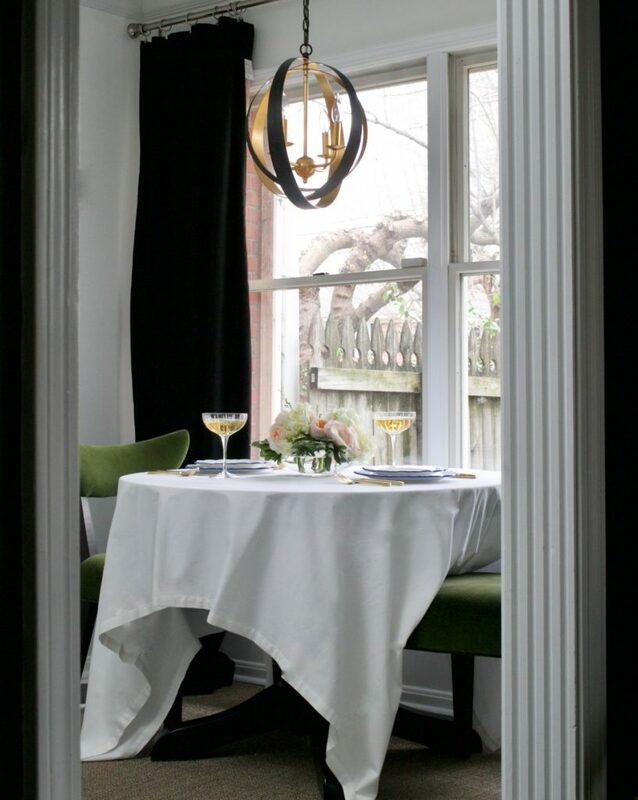 No matter what we eat, this setting will be a sweet scene-stealer, for sure.